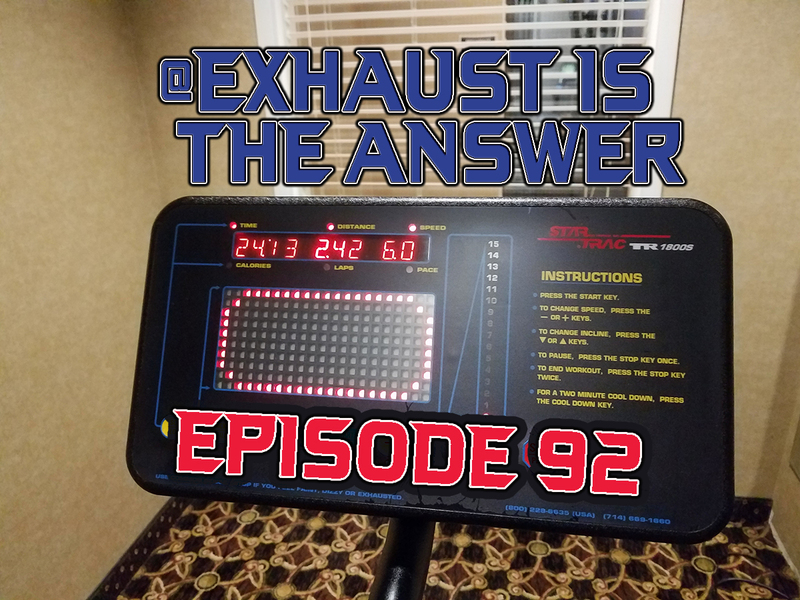 [EP92] - Treadmills are the worst! @exhaust is the answer! Hi everyone! Hope you're all well! Did a ton of treadmill work and lots of swimming today... working and sleeping in the same room isn't great for sleepytimes... so I have to @exhaust myself in order get any sleep. Treadmill work really is pretty amazing terribly awful. It's super boring, and hot and mega unfun... but @exhaust makes it better. @exhaust is a Steem blockchain frontend (that you can find here). You get paid in liquid steem for the exercise that you do... but the big news for today is that @exhaust will also provide 100% of it's curation to it's delegators. This is massive and so incredibly generous. I love the @exhaust community, and it absolutely motivates me to get moving. Love the high-speed entrance for this video. Treadmills are about as exciting as watching water boil. But they're better than nothing! Keep it up, dude! Enjoy having you as part of the community too. These rewards help @exhaust continue to grow and fund some initiatives we're excited about. For example, some of the liquid rewards will go towards creating a pool of liquid steem to purchase SBI shares as achievement milestone rewards in the near future.. Slowly but surely -- @exhaust will become a monstrosity that rewards users substantially.